The freshmen phenom earned 59 of the 64 first-place votes. Duke's freshman sensation Zion Williamson was named AP Player of the Year today, missing out on just five first-place votes. Two of the five reamining votes when to Williamson's Duke teammate RJ Barrett, and one more each going to Cassius Winston (Michigan State), De'Andre Hunter (Virginia), and Ja Morant (Murray State). Williamson dominated the highlight reel as well as the stat sheet. The 18-year-old 22.6 points and 8.9 rebounds a game. He was efficient in scoring those 22.6 points a game, shooting 68 percent of the field, second highest in the country. 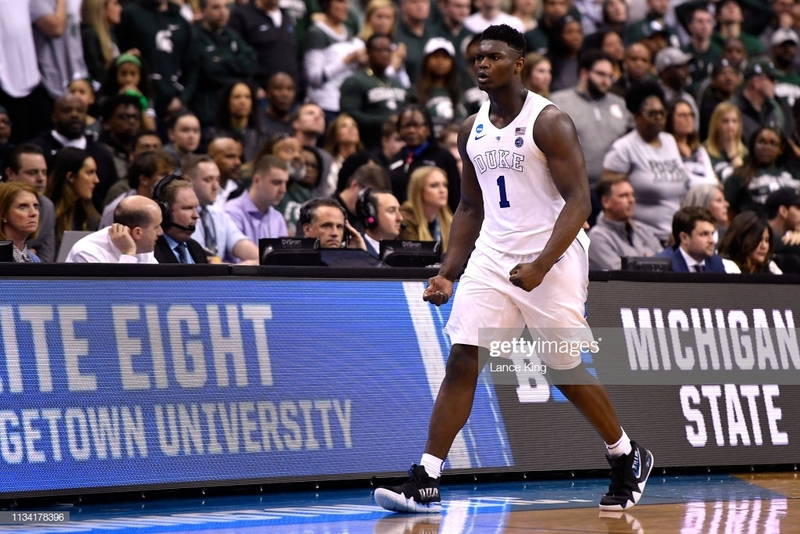 Every little thing, Williamson did was closely watched, inclduing when his shoe blew out in their first game against North Carolina. Williamson was wearing Paul George's signature shoe at the time and has since wore Kyrie Irving's shoe with the help of a team of Nike specialist.